Fuel up for your first day of your Queensland holiday with a complimentary breakfast hamper on arrival! 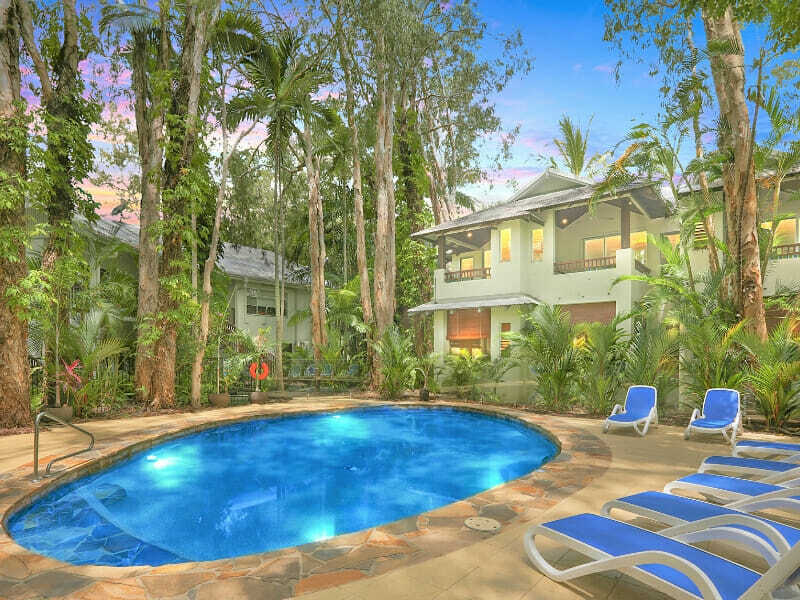 Cape Tribulation and Daintree*: Be picked up by a professional driver/guide from the hotel for one of tropical Queensland’s most popular tours! Experience breathtaking tropical rainforests, ancient plant life, crocodile spotting river cruise, unique wildlife and the spectacular Cape Tribulation. Kuranda Skyrail & Rail~: Join Skyrail and marvel at the technology that has created the world’s most beautiful rainforest experience! Stop and view Barron Falls, learn more about the amazing eco-system or take a leisurely stroll along the rainforest boardwalk! Check in and be treated to a complimentary bottle of sparkling wine when you arrive! Head up to your room, pop the cork and enjoy a refreshing glass or two! The perfect way to start your Queensland holiday! Forget about carting your luggage around on the first day of your holiday. With this My Queensland holiday package, you will receive 2 hour early check-in, so you can start relaxing the moment you arrive! Get free daily self-parking! 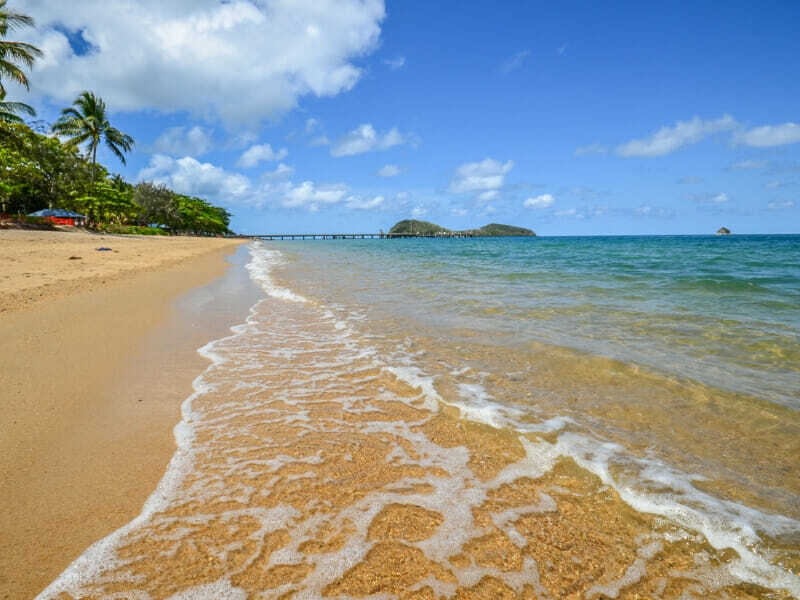 Save your money for the important sights, attractions, restaurants and bars that Palm Cove has to offer—there’s so much to see and do, it’d be a shame not to make the most of it! Don’t waste space in your suitcase packing beach towels. 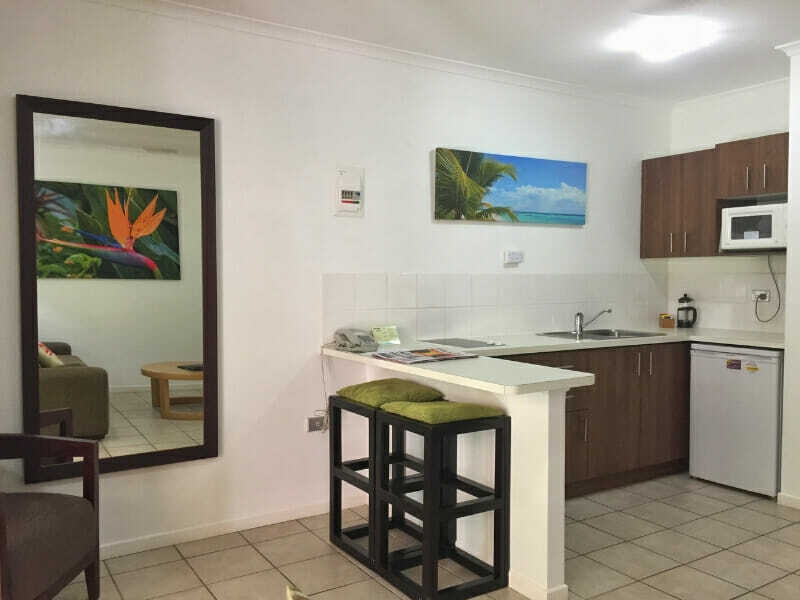 When you stay with My Queensland you will have complimentary beach towel hire, so you’ll never have to worry about a wet towel, dampening your day. 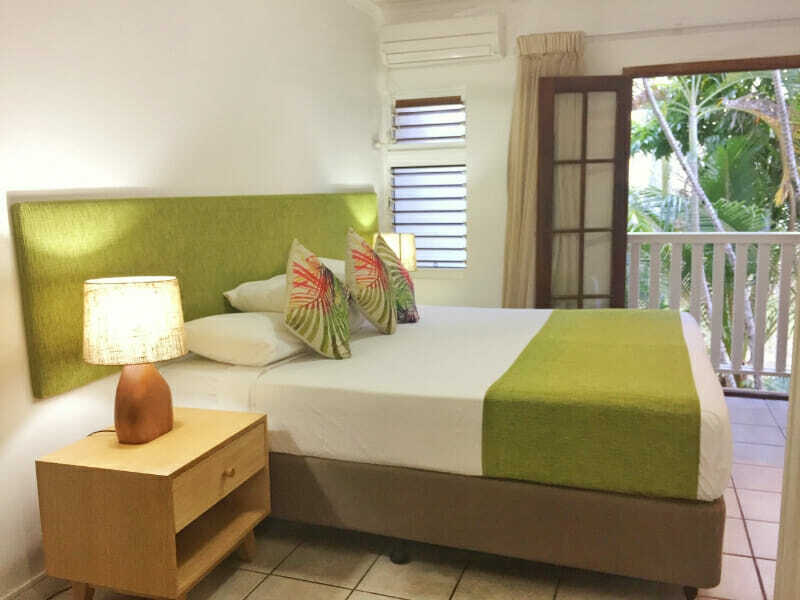 Perfect for a quick holiday in the tropics, the Studio Suite comfortably sleeps up to 3 guests. This 47sq. metre accommodation is furnished with a living space, separate from the bedroom. 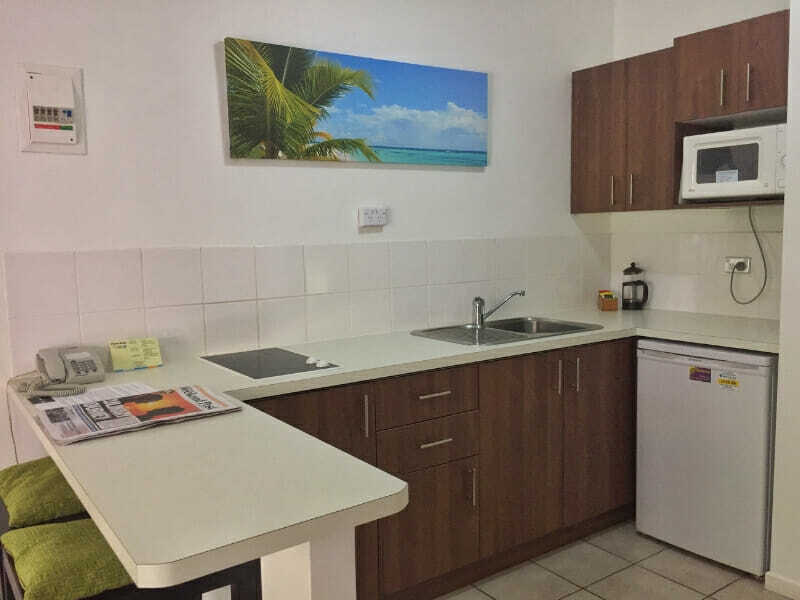 It also comes fully-equipped with modern furnishings, entertainment facilities and a kitchenette, so everyone can just kick back and relax. 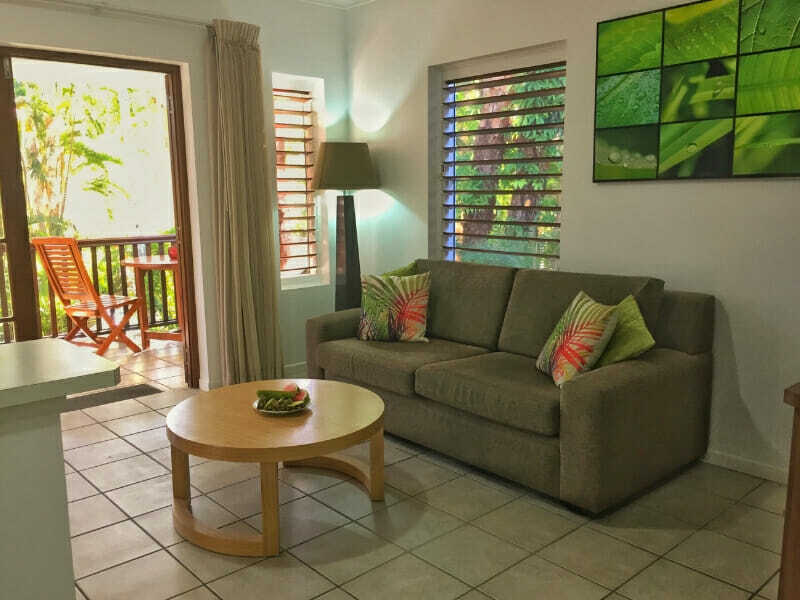 The living area opens up to the balcony where you can take pleasure in the scenic views of the rainforest. 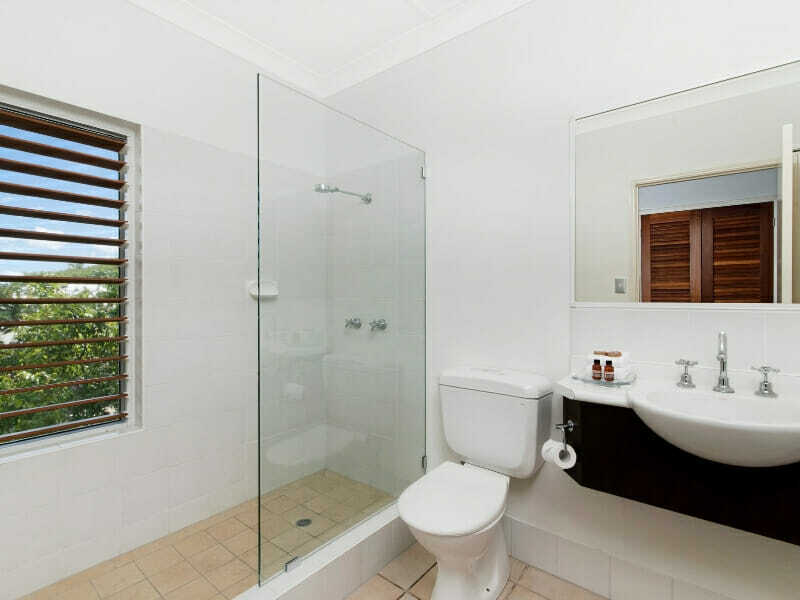 Meanwhile, the classy bathroom features a walk-in shower and a huge vanity. 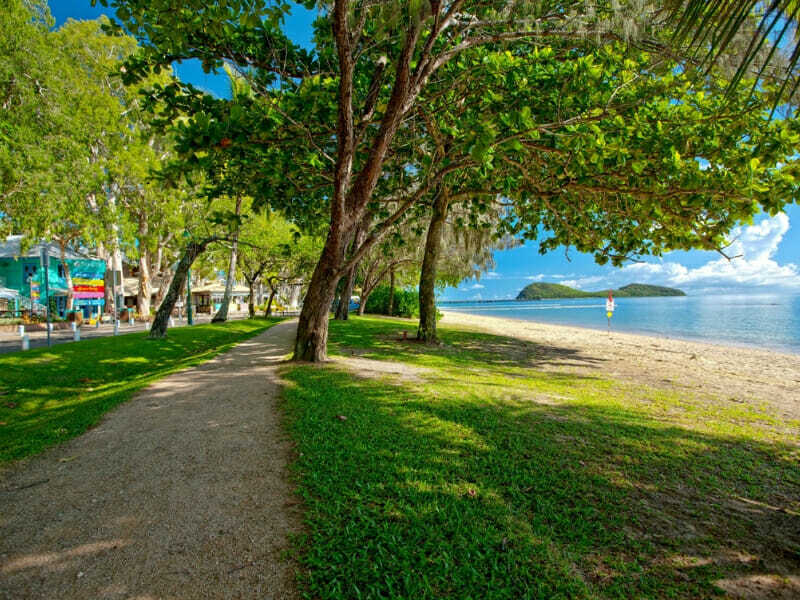 The Palm Cove suburb is filled with charms and landmarks that connect the past heritage to the present. 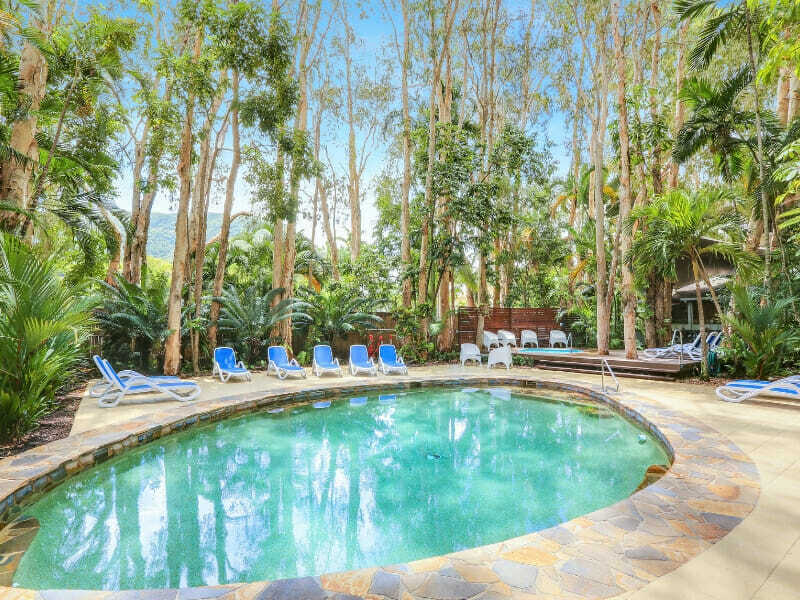 That is why when you stay at Reef Retreat Palm Cove, you can expect a fun-filled adventure. 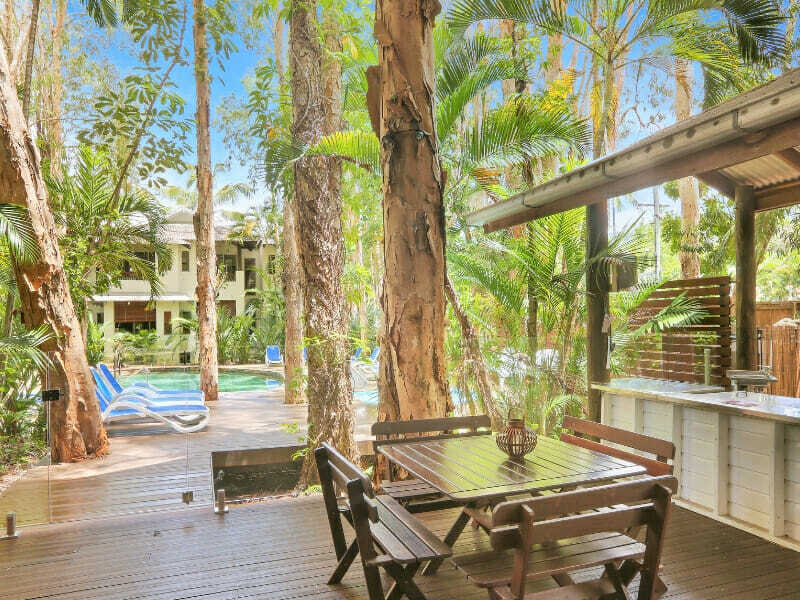 Whether you want a seafood feast, an entire day of lounging around the beach or touring around the suburb, you can spend your holiday at Reef Retreat Palm Cove however you like! After a sun-soaked day of adventure, know that you can always retire to your boutique, self-contained apartment. 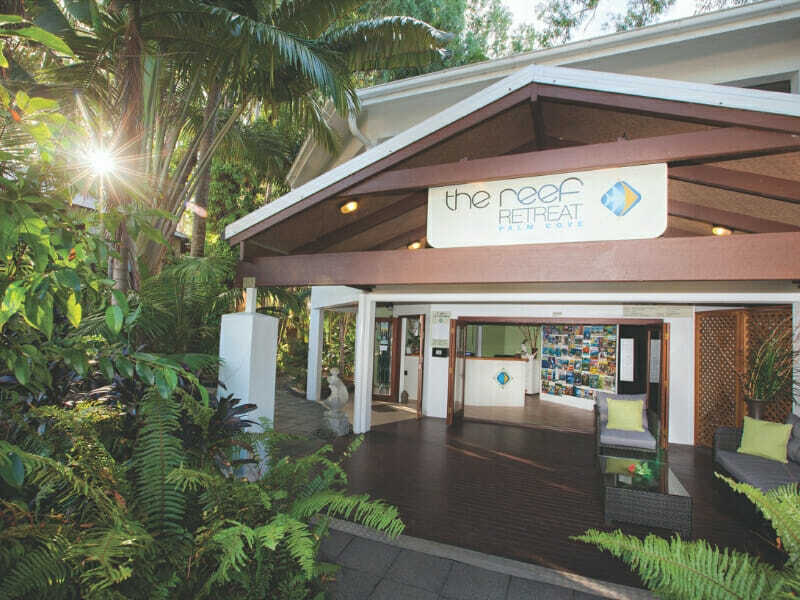 Read more about The Reef Retreat Palm Cove here! *Cape Tribulation and Daintree: • Travel in air-conditioned comfort today in our luxury purpose-built vehicle on this eco-accredited tour led by our experienced and knowledgeable guides. 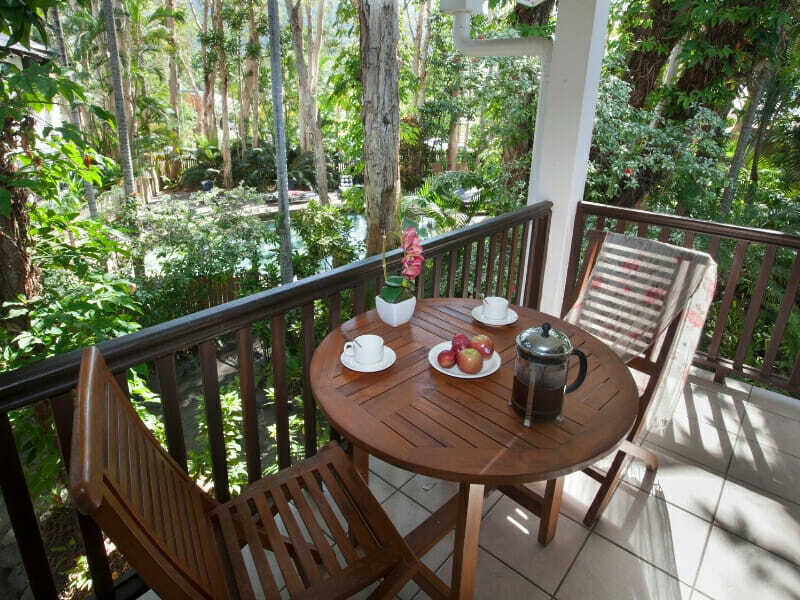 • Mossman Gorge: Visit Mossman Gorge Centre and enjoy morning tea before boarding the shuttle for your transfer into Mossman Gorge. Discover secrets of the world’s oldest tropical rainforest as your driver takes you on a guided walk through the Gorge boardwalk, sharing their knowledge and the history of this World Heritage listed region. • Daintree River Cruise: Hop aboard the Daintree River Cruise and reach an understanding of the intricate Daintree eco-system. Keep an eye out for wildlife including the elusive Saltwater Crocodile. 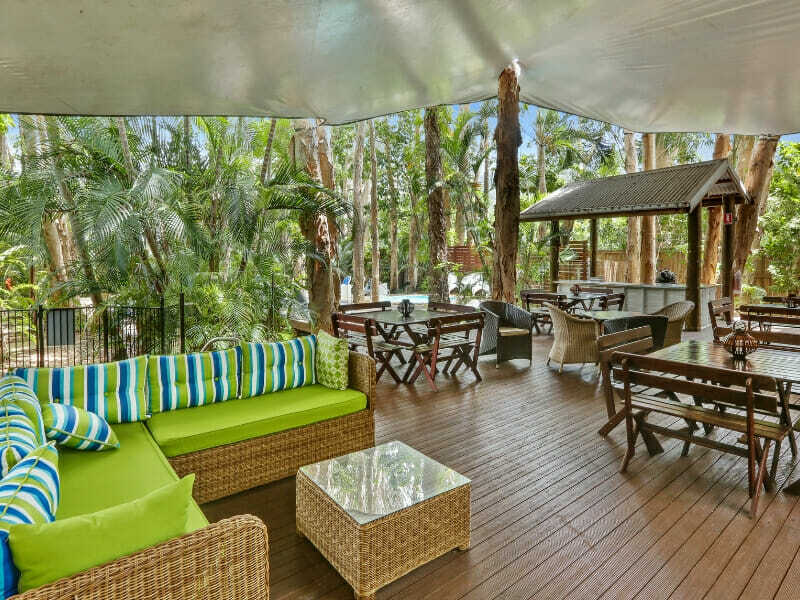 • Lunch: Enjoy a delicious BBQ lunch in the rainforest of Noah Valley – this area is renowned for the existence of primitive flowering plants including the Idiospermum which links back to the most ancient lineages of plants found in the world today. 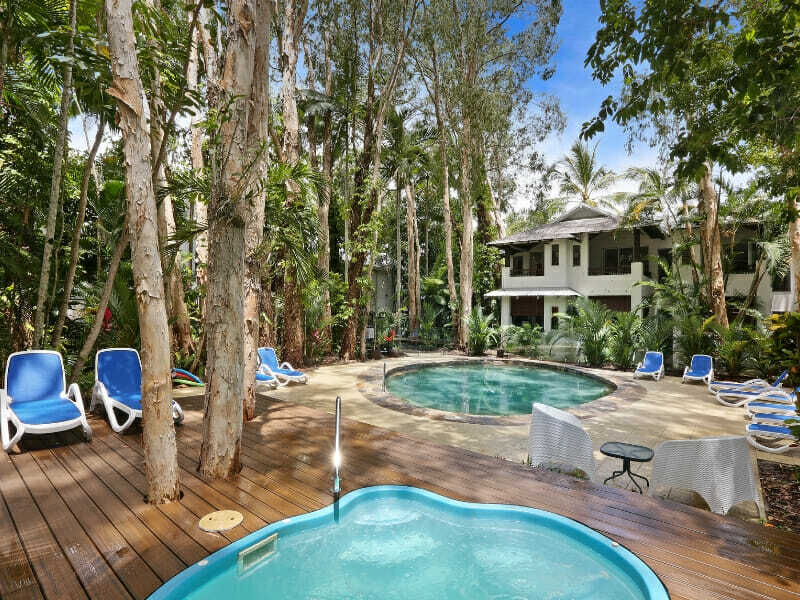 • Cape Tribulation: Where the Rainforest meet the Reef. Walk on this world-renowned rainforest beach named by Captain James Cook on his voyage of discovery in 1770; admire the coastline and fringing Coral Reef from the Kulki Lookout. • Daintree Ice Cream Company: Stop for an afternoon refreshment included at the Daintree Ice Cream Company. Enjoy a delicious exotic fruit icecream cup featuring four flavours (gluten free and dairy free options available). 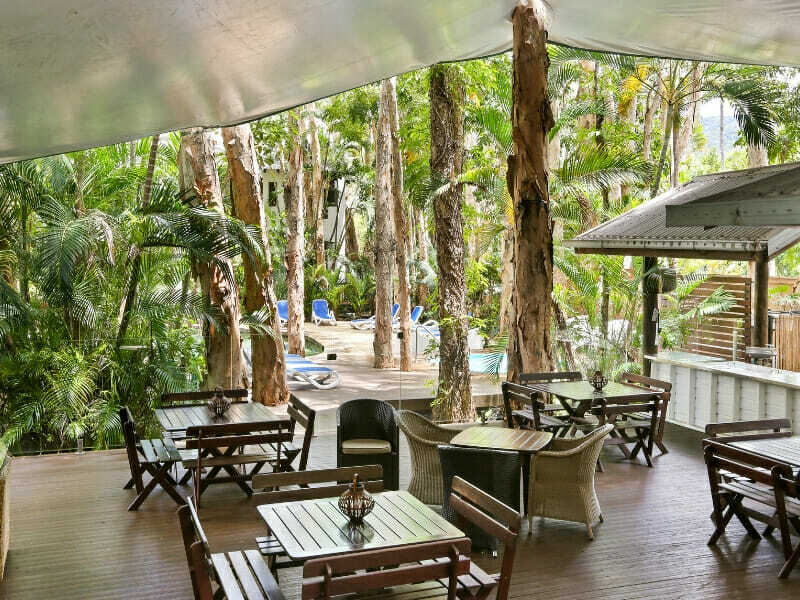 • Alexandra Lookout: After winding through the rainforest, enjoy this spectacular lookout over the Daintree River Estuary, Snapper Island and beyond to the Coral Sea. ~Kuranda Skyrail & Rail ex. Cairns: This morning our driver will greet you, collect your voucher and issue your Kuranda Boarding Pass. We will then transfer you to Skyrail Rainforest Cableway Smithfield, where you proceed directly to the boarding line – there is no need to queue as your Skyrail tickets are already on your Boarding Pass. Once aboard, be amazed as you journey over and through World Heritage protected Rainforest. Your Boarding Pass is your ticket for this iconic rainforest experience that includes time at both Red Peak and Barron Falls stations, both with spectacular lookouts. Or visit the Rainforest Interpretation Centre. Complimentary guided boardwalk tours are offered throughout the day at Red Peak Station. Upon arrival in Kuranda, it’s time to explore this fascinating village. The Heritage Markets operate 7 days a week and are full of colourful and interesting arts and crafts. You might also like to visit Birdworld, the Australian Butterfly Sanctuary or Kuranda Koala Gardens [at own expense]. Your Kuranda Boarding Pass also offers discounted entry into selected Kuranda attractions. 10 minutes before your scheduled departure time, board the train and take your seats – your tickets are already on your Boarding Pass so no need to check in. After boarding the train, your journey winds through hand-hewn tunnels, across bridges and around curves, all the time appreciating what an amazing engineering feat it is. Upon arrival at Freshwater Station, our coach will be waiting to transfer you to your accommodation. Your Boarding Pass will tell you which coach to look for.